Joseph Giacalone is a Licensed Massage therapist in New York and New Jersey specializing in advanced manual therapy in CranioSacral Therapy, Visceral Manipulation and Neural Manipulation. Joseph is a Teaching Assistant for Upledger Institute’s CranioSacral courses. He is a support therapist in Upledger’s Integrated Intentions Comprehensive Treatment Programs in New Mexico and Iceland. Mr. Giacalone has extensive training in CranioSacral therapy, Visceral Manipulation, Neural Manipulation, Manual Articular Approach and Total Body Balancing. He participates in monthly study groups led by master therapists. He has an Associates degree in Massage Therapy and has completed 1,000 hours in clinical massage. He also holds a Masters of Science degree in Special Education. A major focus of his work is to tune into a client’s inner wisdom and facilitate it’s healing process. 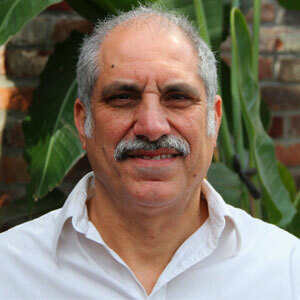 Mr. Giacalone specializes in melding with the client’s inner wisdom and is guided to the bodies’ healing process. His therapy provides high quality treatment for physical, neurological, musculoskeletal and chronic pain dysfunction. Mr Giacalone’s passion and focus is to help the client to restore balanced functioning, be pain free and integrate the body and mind.